After spending a few months pushing Android 5.0 to its large range of devices, Sony is now sending out over-the-air updates that clear up a few issues that cropped up in the transition. This update has already gone out to the Xperia Z3, Z3 Compact, Z3 Tablet Compact, Z2, and Z2 Tablet. 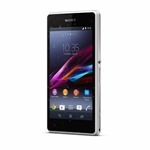 Now it's coming to the Xperia Z1, Z1 Compact, and Z Ultra. So what were some of the issues? Well now when you open the activity menu, you can again close all apps at once. Aside from that, we see fixes for a number of bugs, including devices previously showing "no service" when they actually had signal. When this update will hit your device depends on where you live and which carrier you're on.